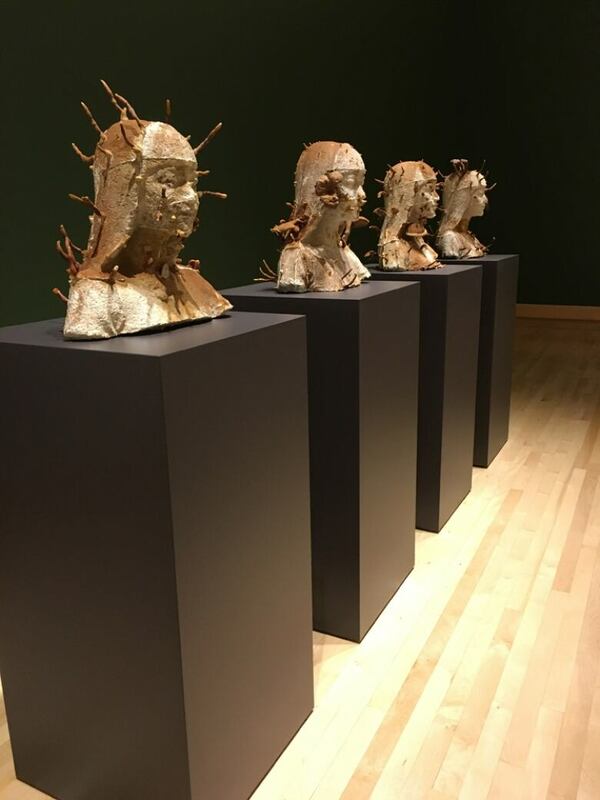 Just like the artist herself, these sculptures by Markham, Ont. 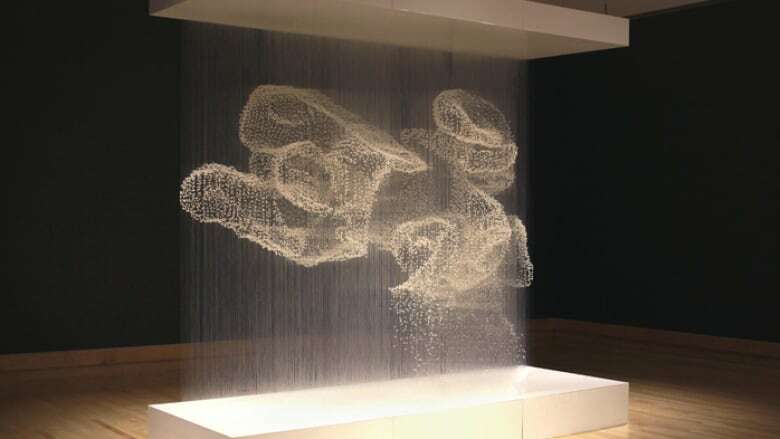 's Xiaojing Yan exist between two worlds. North of Toronto, there's a bridge to another realm. 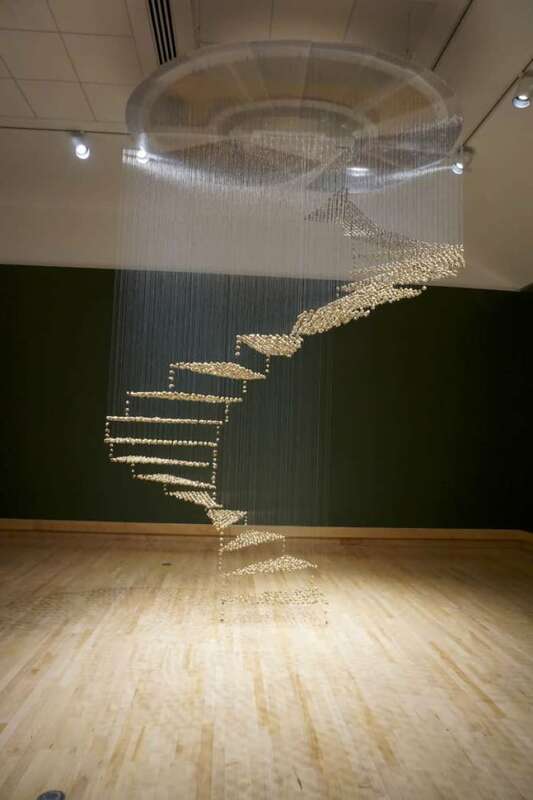 Just look for the golden staircase inside the Varley Art Gallery, a 4-metre stairway to heaven that's seemingly floating in space. Approach it, though, and the illusion is broken, revealing a swarm of actual insects. 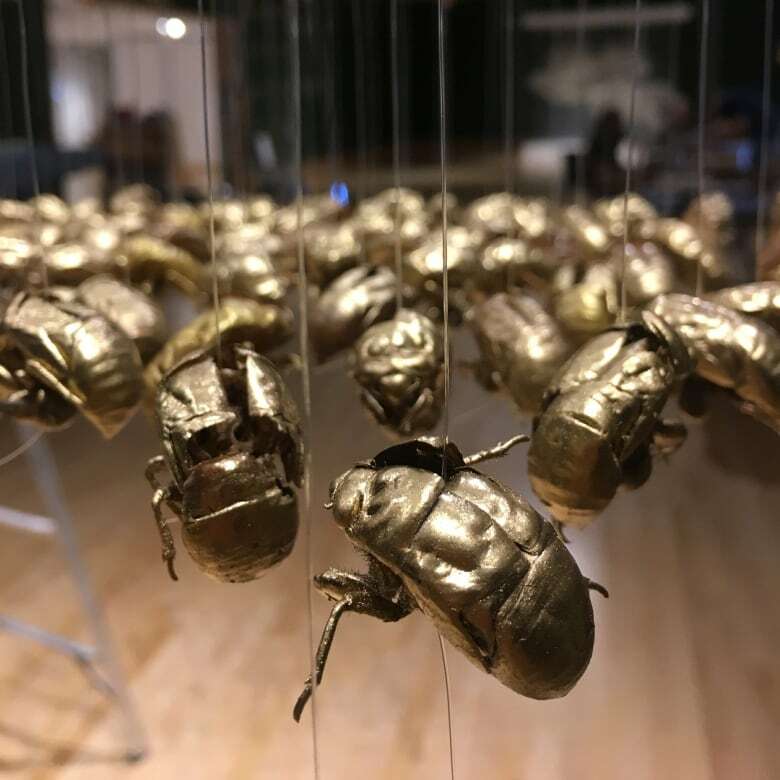 There are more than 3,300 of them — painted cicadas, specifically — strung up on transparent fishing line. 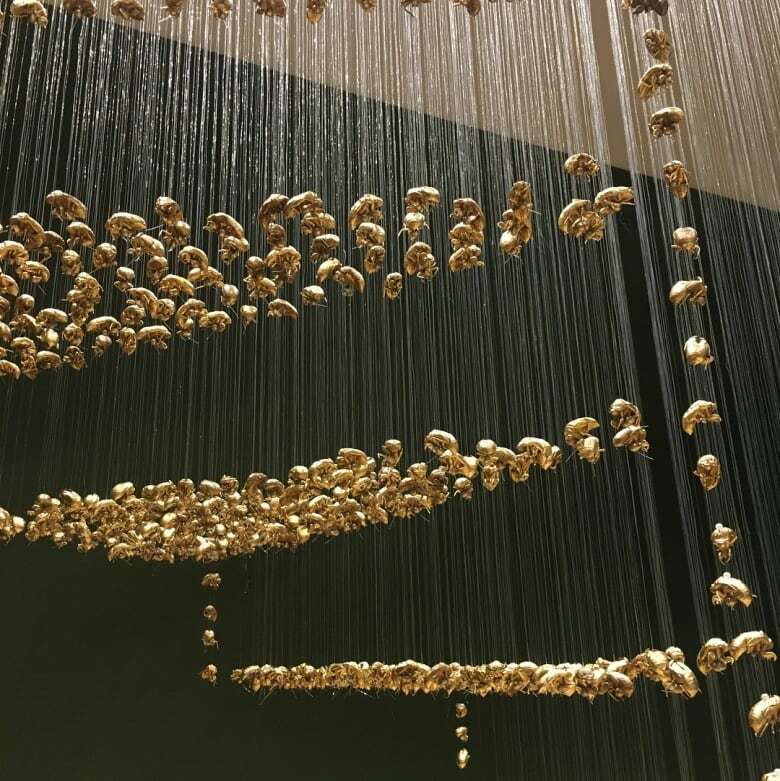 The piece is called Song of the Cicada and it's one of six otherworldly creations that make up Out From Among the Tranquil Woods, an exhibit of new work by Markham, Ont. 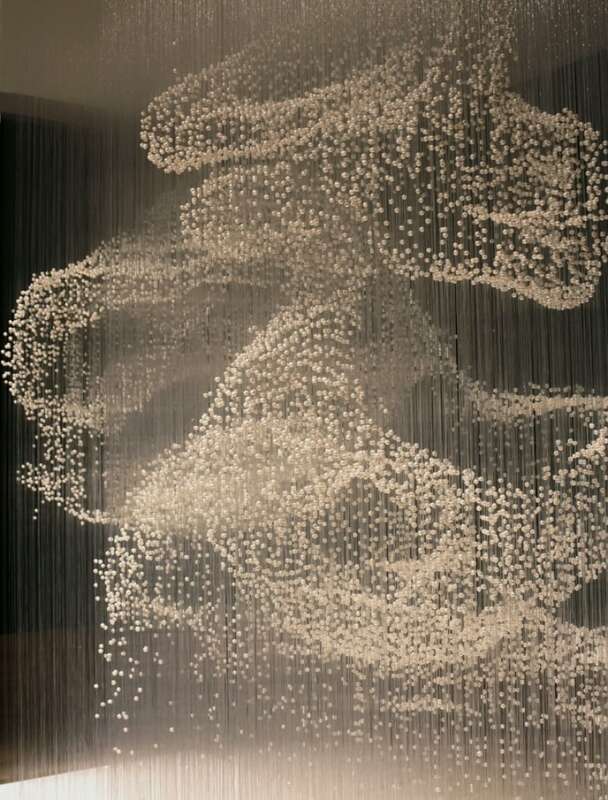 artist Xiaojing Yan. 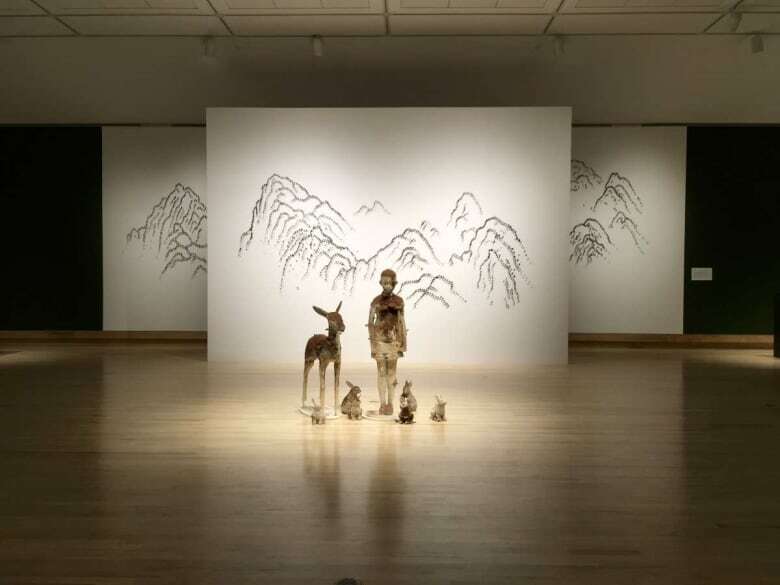 Yan, 39, moved to the GTA from China in 2001, and her artwork often reflects on her identity as a first-generation Canadian, especially where language and culture are concerned. 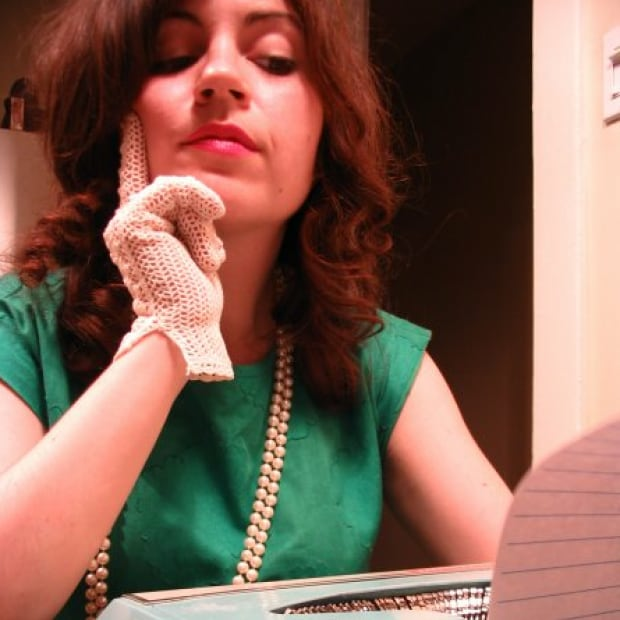 The title of the show, she explains, is a direct reference to something lost in translation. The phrase, she explains, is the name of a Chinese poem. "The original line in Chinese is quite different," says Yan. "In a few words it creates scenery, ideas, feeling — giving the reader a lot of room to linger, to imagine, to explore." But where words fail, thousands of painted bugs speak. The show isn't Yan's translation of that one piece of poetry — it's her exploration of what art can do to bridge the gaps in communication. Symbolism is a major part of that, and the artist selects materials that are packed with meaning. Her building blocks are deliberate nods to her Chinese roots — whether the reference is tied to myth, folklore or personal memory. Choosing materials is like choosing the right words. They were purchased at a Chinese herb shop, and as Yan explains, they're a symbol of rebirth and immortality in Chinese literature — a creature that connects the earthly and spiritual planes. The mountain range depicted in Star Mountain II was created by pinning countless star anise pods on a gallery wall. Their scent is meant to flood the space and activate your senses, as if someone's favourite comfort food were simmering on a nearby stove. 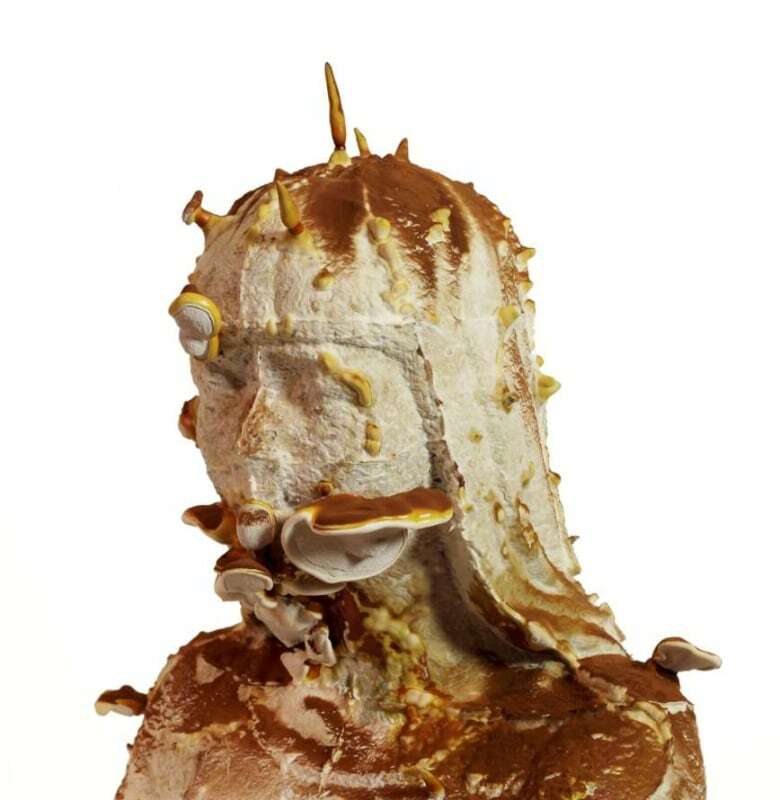 Just like Song of the Cicada, the sculpture was originally modelled in clay, and then designed using 3D software. 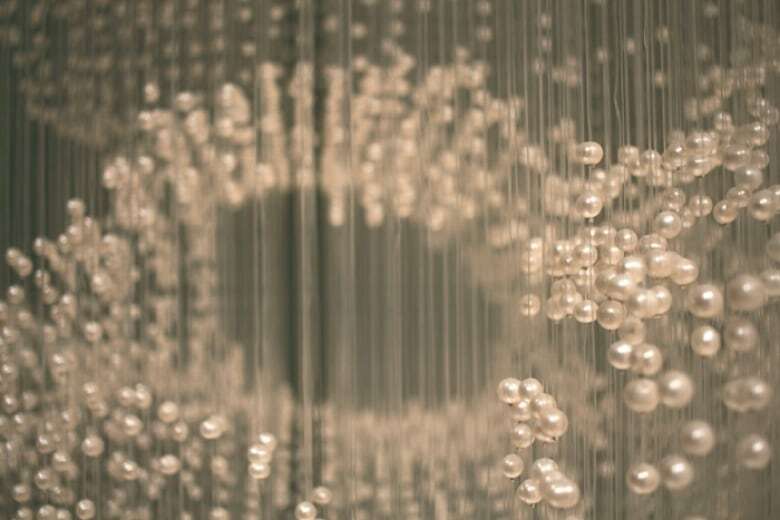 The pearls were then threaded on fishing line, and this shimmering cloud is meant to recall another organic shape: a cluster of lingzhi mushrooms, which are symbols of good fortune and long life, and a recurring motif in centuries of Chinese art. They're a recurring motif in this show, too. 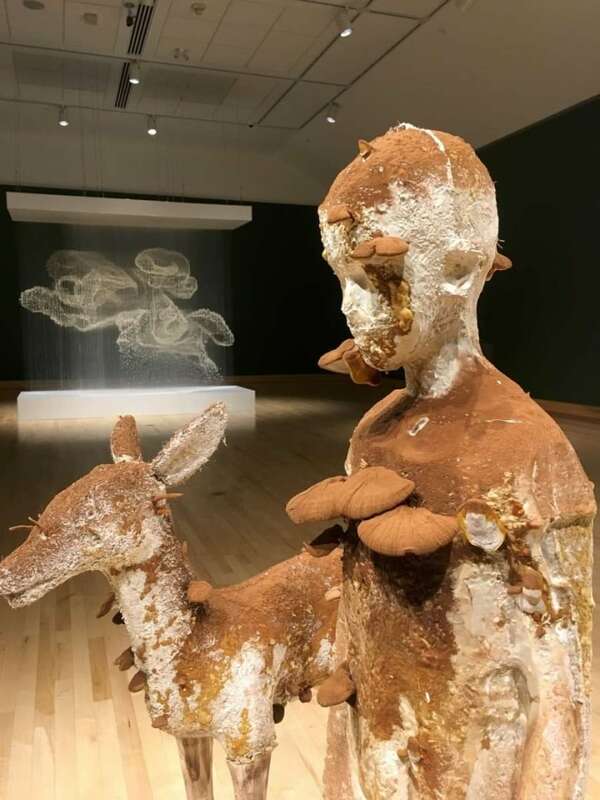 Lingzhi Girl and Far From Where You Divined feature sculptures of young women, their skin sprouting with these symbolic mushrooms. The fungus is real. In fact, it's what holds everything together. Yan made the work by pouring a mix of spores, wood chips and water into molds. 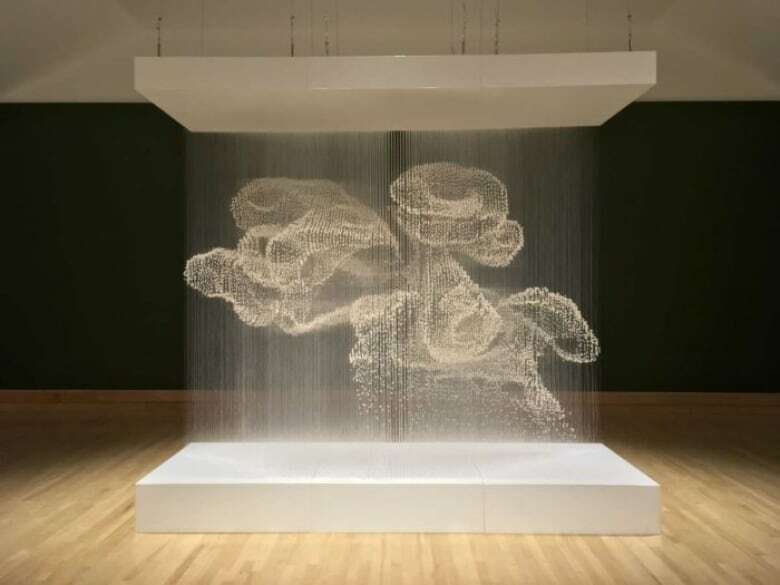 The sculptures took shape as the mushrooms grew, their roots binding the wood chips together like a glue. It's a three-month-long process, she explains, one that requires extremely controlled environmental conditions. 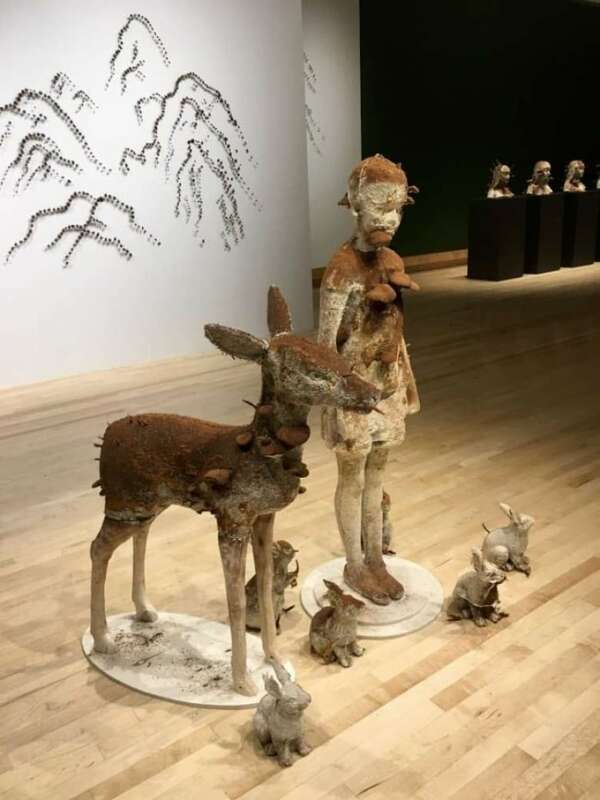 Like everything in the show, these figures exist somewhere between worlds: natural and manufactured, ordinary and sublime. "Sometimes I see myself as the person living in another culture," Yan says. "I'm bridging, connecting two different cultures in a space, but somehow I'm suspended and not belonging to anywhere." "I always like this kind of idea, of transitional space."